Fortnite: Battle Royale will get its first major update of 2018 next week. The map is getting new spots to shake things up on the current map. Speaking in a video, Eric Williamson talks through the upcoming map update. In this, he details what you can expect from the new POIs and Biomes being added to the map. Tips and tricks to be Number One in Fortnite: Battle Royale. In addition to that there’s some nuggets of information about the Holiday Trees/Chests! Newly named areas on the West side of the map to balance out sweet spots. Better defined Biomes to break up the map into clear sections. General quality of life tweaks. With regard to the Holiday Trees, they will be leaving with the change to the map, but Williamson assures players that other seasonal treasure chests and such feature in future. You can catch the video in the Tweet found below. 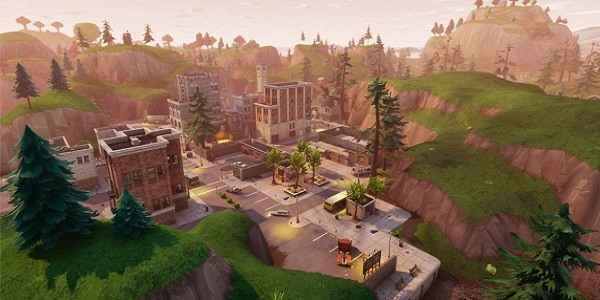 While the map remains as it is, you can use our guide to the best landing spots in Fortnite: Battle Royale.